The United States Constitution recognizes the states; in Article IV, section 4, it guarantees each state a republican form of government. State governments include executive, legislative, and judicial branches, mimicking the structure of the federal government to a greater or lesser degree. 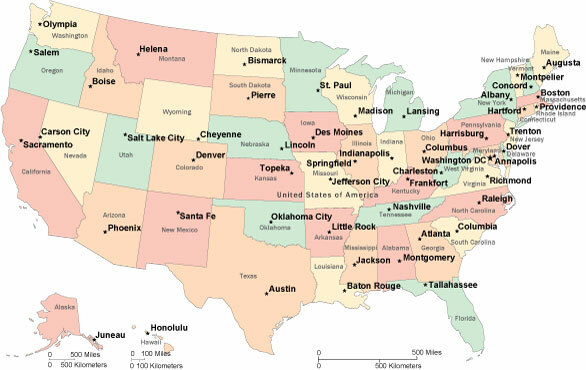 Each of the 50 states in the USA has a capital city, and these state capitals serve as headquarter cities for their respective state governments. About half of the states have moved their state capital since becoming a state. Furthermore, during the American Civil War, the War of 1812, and the Revolutionary War, the state and colonial governments have operated where, and as, they could when their capital cities were attacked or occupied by opposing troops. 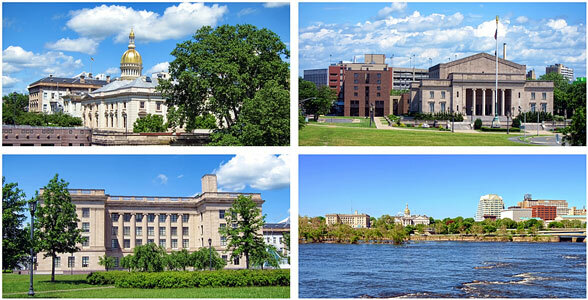 These capital cities typically have a state capitol building where the state legislature meets, and the governor's office can usually be found in the same building. 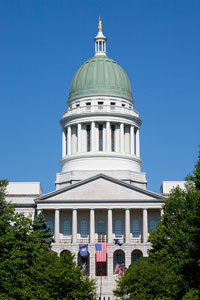 This building may be called a State Capitol, a Statehouse or State House, or a Legislative Hall. In some states, the highest state court meets routinely in the capitol building; in other states, the high court meets in a separate building. In a few states, the capitol building is for ceremonial use only. And many of the state capitol buildings are historic landmarks. State capitols are often designed with distinctive architectural styles such as Greek Revival, Art Deco, Italian Renaissance Revival, Federal, and Beaux Arts. Cupola-like domes and drum towers adorn many of these buildings; only eleven do not have a dome feature. This design was originally used to represent power and unity. Domes are sometimes gilded with gold. Marble, limestone, and granite are frequently used to construct the capitol buildings, and their landscaping is often designed to enhance and coordinate with their architectural styles. State capitol building interiors are often constructed with beautiful marble surfaces. Floors may be intricate in design, dome interiors may be decorated with paintings and stained glass, and custom windows may let sunlight flood the interior spaces. Ornate balconies and stairways with carved railings often complete the picture. This State-Capitals.org website contains information about, and interactive maps of, these state capitals. 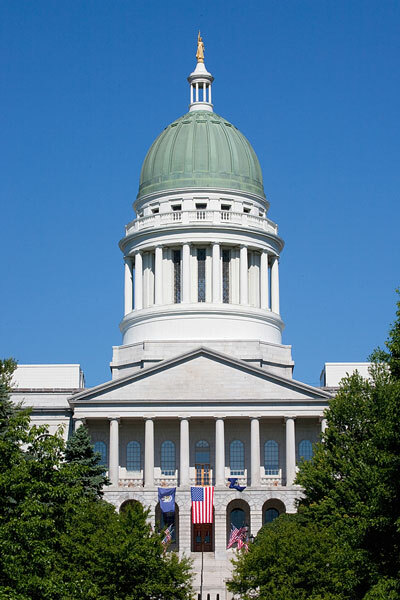 Use the State Capitals Menu (above) to visit each of the state capital pages; use the State Capitals Map (below) to locate each of the states and their capital cities. For maps of, and information about, the United States of America's federal capital (Washington, DC), please visit the Washington-DC-Map.com website.